Tuberculosis is an infectious disease caused by the Mycobacterium tuberculosis bacteria. It primarily causes disease in the lungs but can affect other body parts such as the spine. Most people with Tuberculosis do not have symptoms and are not infectious (Latent Tuberculosis), however approximately 10% of these cases progress to an infectious form with symptoms (Active Tuberculosis) which can be deadly. 2. How is Tuberculosis transmitted? Through respiratory droplets from a person that has active Tuberculosis. This usually occurs when the person coughs, sneezes, speaks or sings. The bacteria can then either be removed by the body’s immune system or can cause an acute infection (Active Tuberculosis) or be “walled off” by the body and remain dormant until later re-activated (Latent Tuberculosis). Any person suspected of having Tuberculosis should be isolated into an environment that limits airborne transmission. 3. What are the common signs and symptoms of Tuberculosis? Persistent (and often bloody) cough lasting greater than 3 weeks, chest pain with breathing or coughing, unintentional weight loss, fever, night sweats, chills. 4. 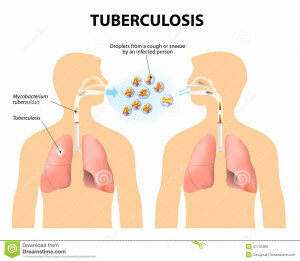 Is Tuberculosis a public health problem in Nigeria? 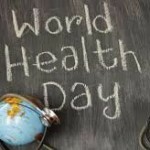 Yes, it is; Nigeria ranks as 3rd in the 22 countries with the highest prevalence of Tuberculosis. There is a National TB and Leprosy Control Programme which aims to alleviate this burden which mainly occurs because of poor awareness, poor access to care and a limited supply of medications. 5. Can Latent Tuberculosis make one sick? No, it does not, as they are not infectious and cannot spread the bacteria from one person to another. However, treatment is often recommended to decrease the chances of progressing to active Tuberculosis. This Tuberculosis re-activation can occur if the immune system becomes weakened or if there is contact with a person with active Tuberculosis. 6. How is Tuberculosis treated? There are multiple medications and different treatment regimens for both Latent and Active Tuberculosis. A doctor will explain the different options and select the most appropriate regimen. 7. The duration of treatment is long, do I need to complete it? Yes! There is a great risk of MDR-TB (Multi-Drug Resistant Tuberculosis) that can occur with uncompleted courses of treatment. This form of Tuberculosis is very dangerous because it is resistant to many of our initial medications. The duration of treatment for MDR-TB is also longer than the normal Tuberculosis treatment course. 8. Is there a vaccine for Tuberculosis? Yes, the BCG vaccine is given early in infancy in many developing countries to protect against Tuberculosis. 9. What is the TB skin test? The Tuberculosis skin test is used to detect if a person has been exposed to Tuberculosis. A healthcare professional will inject a purified Tuberculin derivative into the skin then re-assess the injection site 2 to 3days later. A positive reaction requires further assessment to determine if the person has Latent or active Tuberculosis. 10. What should I do if I have been around someone with Tuberculosis? See your primary doctor for a full evaluation of symptoms and diagnostic tests.